Usually, the earthy, pungent flavor of truffle is something you either love or hate. Some people just aren’t a fan of this aromatic fungi, while others crave it and would pair it with anything. Recently however, establishments are jumping on the truffle hype, eager to show that this ingredient really can elevate a number of dishes. And there are restaurants that know just how to prepare truffle that let the flavors shine in the best ways! Francesco’s Kitchen is an Italian restaurant located in Addition Hills, San Juan. This spot that looks just like a home has quickly become a favorite among San Juan residents, with their authentic and delicious Italian cuisine by Chef Francesco Rizzo. 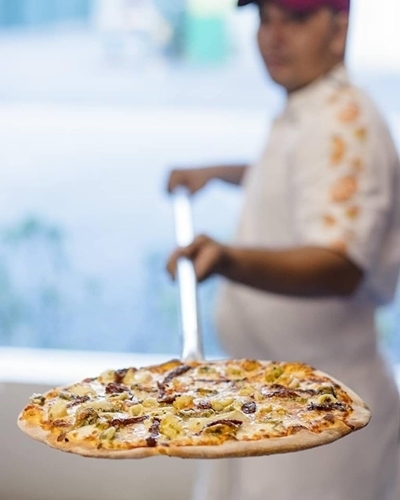 Francesco’s makes sure to use good quality ingredients for their dishes and makes everything from scratch, like their fresh pasta and their pizza made by hand. If you love the flavor of truffle, you will surely love their Tartufata Ai Formaggi pizza (P590), a truffle flavored white pizza with selected cheeses. The aroma of truffle fills the air as soon as the pizza arrives at your table. It’s a treat that would go well with any of their Italian dishes. This spot that started out as a small neighborhood restaurant in BF Homes has grown to become one of Manila’s most-loved, with branches all over the metro. Mama Lou’s Italian Kitchen serves classic Italian comfort food, great for gatherings with family and friends. If there’s one thing they’re famous for, it would be their Truffle Mac and Cheese (P325). 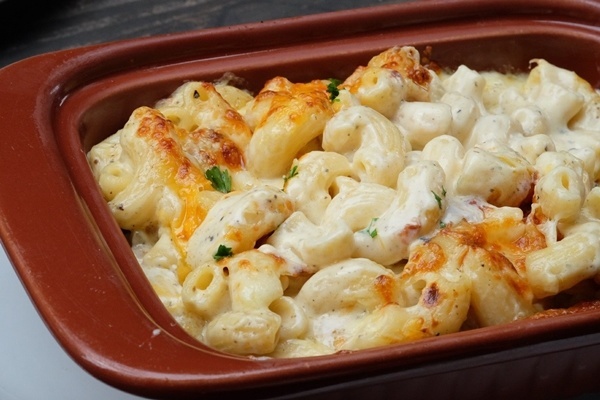 This must-try is made of elbow macaroni smothered in a blend of cheeses and truffle cream, topped with melted mozzarella and cheddar. You can’t go to Mama Lou’s without ordering at least one! One of Manila’s favorite steakhouses also serves an amazing truffle dish! 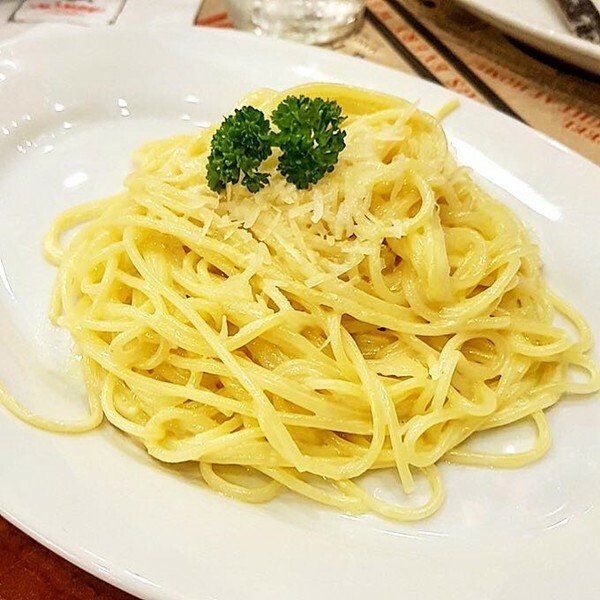 Aside from steak, Mamou is known for Lorenzo’s Truffle Cream Pasta (P395). This pasta uses spaghettini noodles, mixed with truffle flavored cream and Grana Padano cheese. It may seem pretty simple, but the flavors will blow you away and leave you wanting more – enough to make even non-truffle lovers change their minds. The noodles are cooked al dente and the sauce is smooth and creamy with that unmistakable truffle flavor. Perfect to pair with a juicy steak! Truffle on an egg salad sandwich? Yes, please! 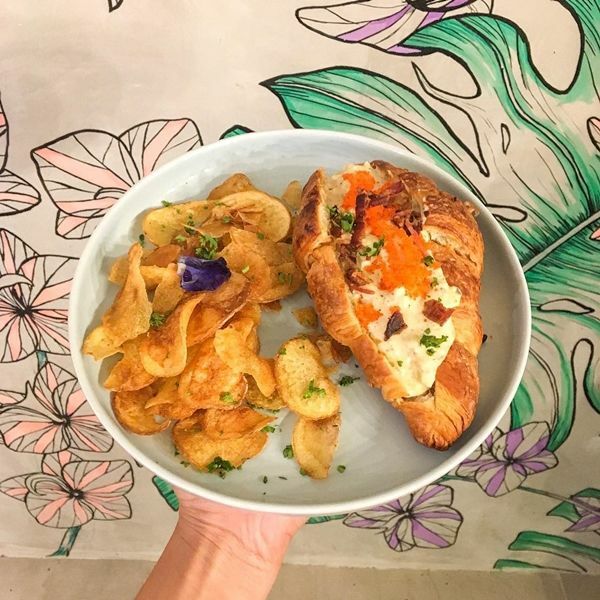 Flossom Kitchen takes this simple sandwich to the next level by combining egg salad, truffle bits, fish roe, and bacon on a flaky croissant. This Truffle Egg Croissant (P300) makes for the ultimate decadent sandwich, perfect for any time of the day. 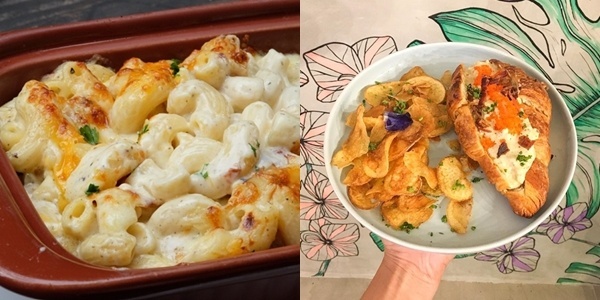 If you think this is great, then you’ll love Flossom Kitchen’s variety of comfort food with modern twists! Osaka Ohsho originated in Osaka, Japan, and specializes in different flavors of gyoza. For their third year in the Philippines, Osaka Ohsho rolled out new menu items, including the Truffle Gyoza (P280/6 pcs, P560/12 pcs). 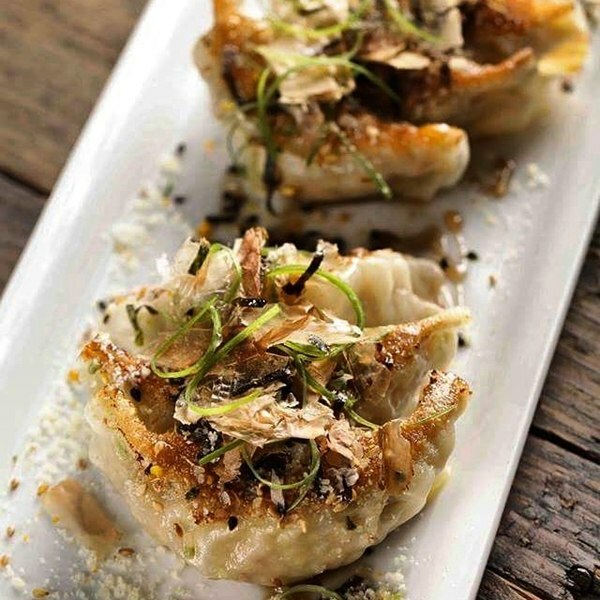 The dumplings are stuffed with gyoza meat, truffle and parmesan cheese, and then topped with furikake, sesame seeds, parmesan cheese, bonito flakes, and a drizzle of truffle oil. It’s a fusion dish just bursting with umami goodness! In case you didn’t know, Kettle (famous for their buttermilk fried chicken) has a sister restaurant called Fireside by Kettle, with dishes that are just as filling and satisfying. One of their knockout appetizers is the Truffled Potato Chips (P259) – don’t underestimate this dish just because it’s a starter. 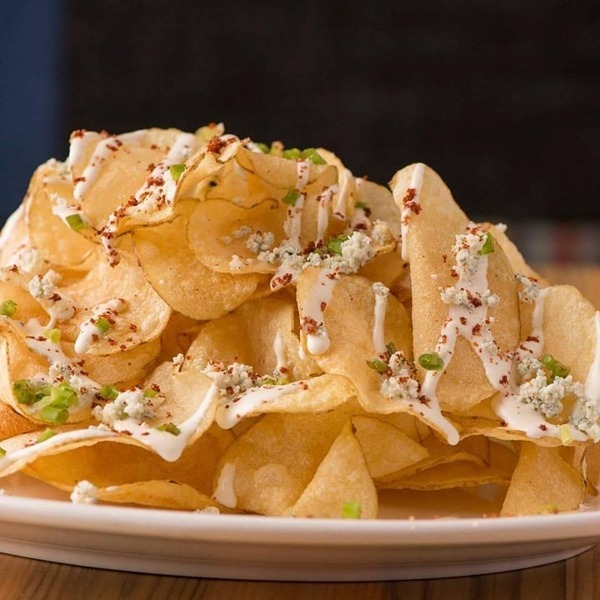 Hand-cut potato chips are drizzled with truffle blue cheese sauce and topped with green onions. This dish is really for truffle lovers and those who can take the strong flavors of these chips, and we wouldn’t be surprised if you’d want to pay a visit to Fireside just for this. We’re used to having truffle with dishes like pasta and pizza, but have you ever tried it infused with Filipino flavors? At Lola Cafe, you can get specialty Filipino dishes, like the Truffle Lengua (P575), which is slow cooked ox tongue with wild mushrooms and truffle cream. 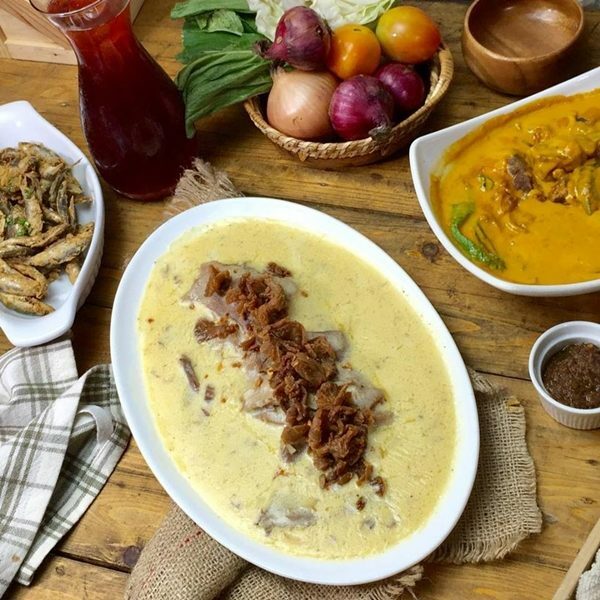 This creamy lengua is one of their most raved about dishes, and is good for sharing. If you want something smaller, Lola Cafe does offer a few other truffle flavored dishes, but the Truffle Lengua is just something so unique and unexpected. Gringo serves awesome Latin American and Mexican food, taking pride in their ribs and chicken. 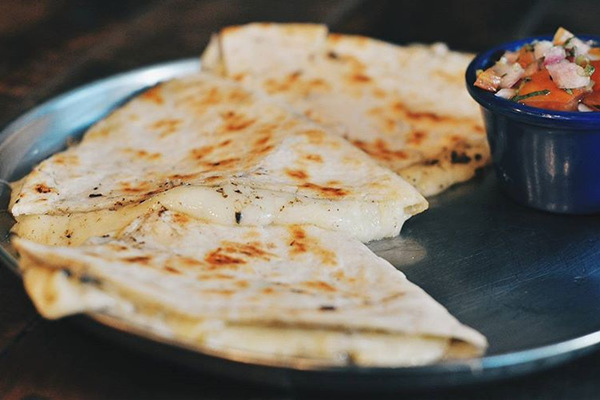 If you want something cheesy to complement your main dishes, try their Truffle Queso Quesadilla (P145). It may look simple, but it packs a punch that customers have been loving. The taste of truffle is distinct but not overwhelming, and goes perfectly with the side of pico de gallo it’s served with. Plus, it’s an affordable luxury – one of the truffle dishes that won’t break the bank.